Experience Science from Beginning to End! Classify, Analyze, Discuss, and Collaboatively Write an Article! 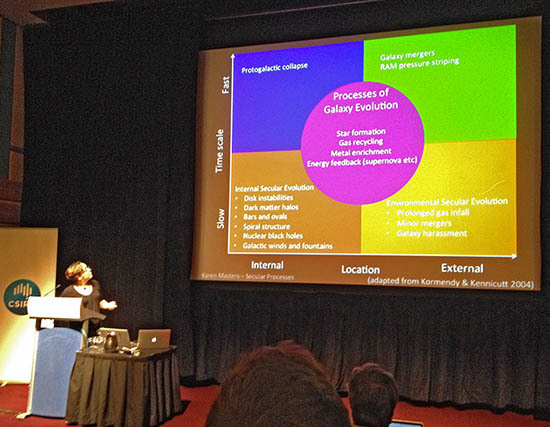 Galaxy Zoo and other Zooniverse projects have given thousands the opportunity to contribute to scientific research. It’s time to take the role of volunteers to the next level. 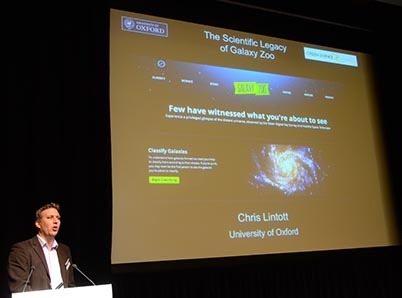 For the next two months*, this new Galaxy Zoo Quench project provides the opportunity to take part in the ENTIRE scientific process – everything from classifying galaxies to analyzing results to collaborating with astronomers to writing a scientific article! Galaxy Zoo Quench will examine a sample of galaxies that have recently and abruptly quenched their star formation. These galaxies are aptly named Post-Quenched Galaxies. They provide an ideal laboratory for studying how galaxies evolve from blue, star-forming spiral galaxies to red, non-star-forming elliptical galaxies. Using the more than a million galaxies in the Sloan Digital Sky Survey, we identified ~3000 post-quenched galaxies. By classifying these galaxies and analyzing the results, we will explore the mechanisms that quenched their star formation and investigate the role of post-quenched galaxies in galaxy evolution. The entire process of classifying, analyzing, discussing, and writing the article will take place over an 8 week period*, beginning July 18th. After classifying the galaxies, volunteers will use the tools available within Zooniverse to plot the data and look for trends. Through reading articles and interaction in Talk, volunteers will gain background information. Throughout, they’ll discuss with the science team their interpretation of the results. At the end of the process, volunteers and the science team will collaboratively write a 4-page Astrophysical Journal article. What causes the star formation in these galaxies to be quenched? How do interactions impact galaxy evolution? What is the fate of our Milky Way? Join us this Summer (or Winter if you’re below the equator!) in exploring these questions, being a part of the scientific process, and contributing to our understanding of this dynamic phase of galaxy evolution! We’ll be sharing more details about this project during the next Galaxy Zoo Hangout, on Monday, July 15th at 14:00 CST / 19:00 GMT / 20:00 BST. Have questions about the project? Post them here or tweet at us (@galaxyzoo). Just before the Hangout starts, we’ll embed the video here so you can watch from the blog. 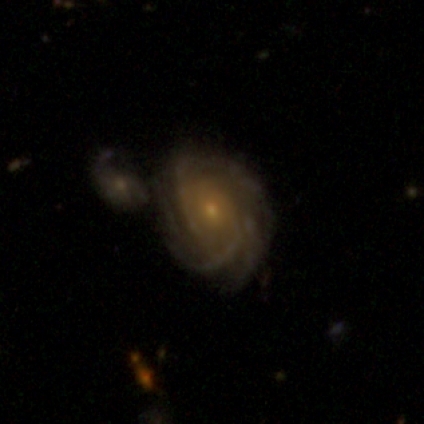 The best way to send us a comment during the live Hangout is through twitter (@galaxyzoo). You can also leave a comment on this blog post, or on Google Plus, Facebook or YouTube. See you soon! 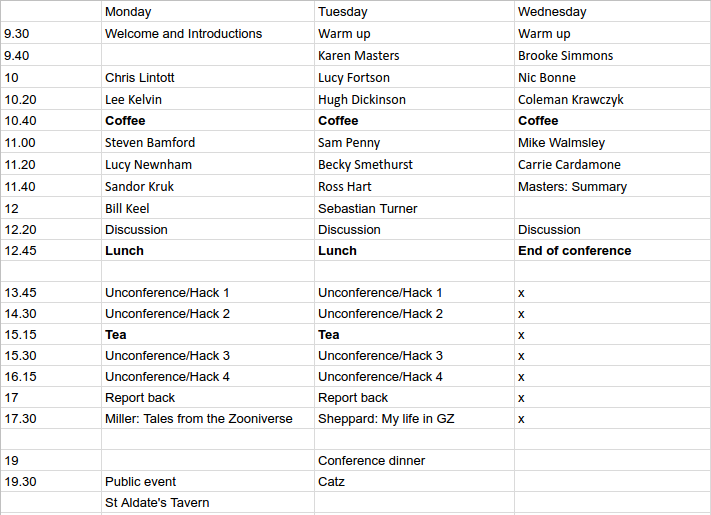 Update: here’s the hangout (and the mp3 version)! *Note: science timelines often subject to a factor of two uncertainty. 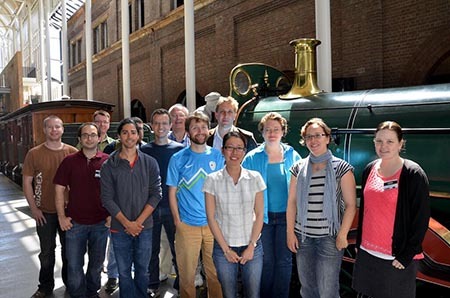 We’ll do our best to keep on track, at the same time expecting the unexpected (all part of the fun of doing science!). John Wheeler once summarized General Relativity as “Matter tells space how to curve, and space tells matter how to move.” While that is a handy description, and while there have been many textbooks written, lectures given and websites constructed to explain this, the quote itself doesn’t address what happens to the light streaming through the universe as it encounters the warped space curved by matter. The simple answer is: it curves too, and Einstein’s equations provide predictions for exactly how it works. In fact, observations of the bending of starlight around the Sun were one of the first implemented tests of General Relativity, and it passed with flying colors. On the scale of the Universe, the Sun isn’t that massive, but it’s massive enough to bend the light just a little, and by exactly the amount the equations predicted. Those equations say that more matter in the same place is more likely to produce a strong lens effect, distorting and magnifying a background source. 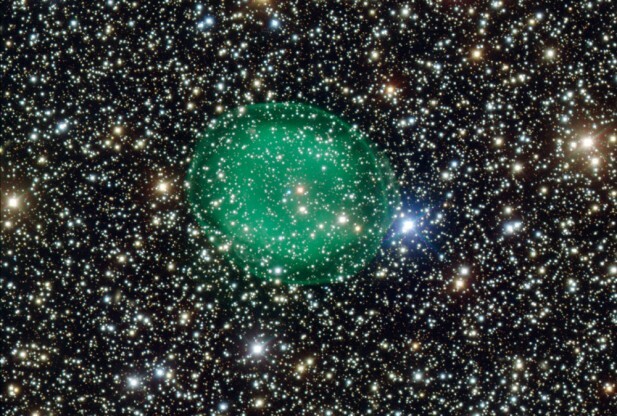 So what happens when you have a *lot* of matter, say, in a big galaxy or a cluster of galaxies? 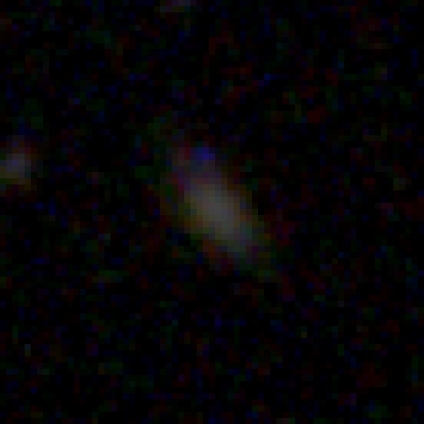 From left to right: a) an Einstein cross (credit: NASA/ESA); b) an example from the Space Warps dataset; c) a known lens in CANDELS that Galaxy Zoo users spotted. Some pretty impressive configurations, which are rare but which humans are best at finding — hence Space Warps, the Zooniverse’s newest project and our astronomical project sibling. 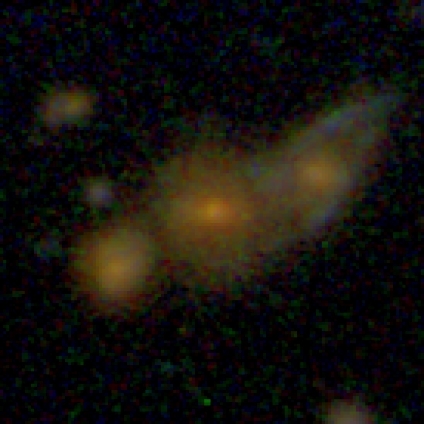 Co-lens-experts Phil Marshall and Aprajita Verma joined us during this hangout to describe how they use gravitational lenses to weigh galaxies. In particular, they can tell the difference between Dark Matter and “matter that’s dark” — the former being the exotic particles that are very different from stars and gas and planets and people, and the latter being normal matter that isn’t bright, such as brown dwarf “stars” that never actually ignited. 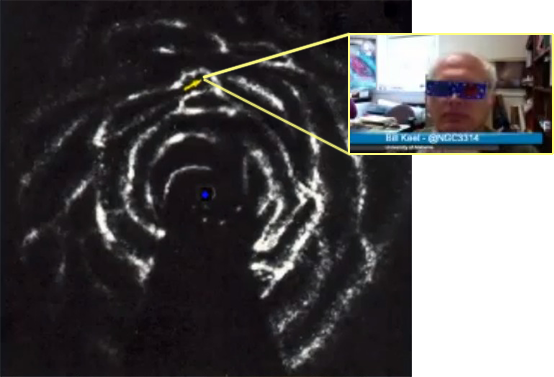 Note: Google+ was feeling a bit out of sorts, so the first minute or so of the broadcast was cut off, during which time Bill Keel showed us the first known image of a gravitational lens, from 1903. 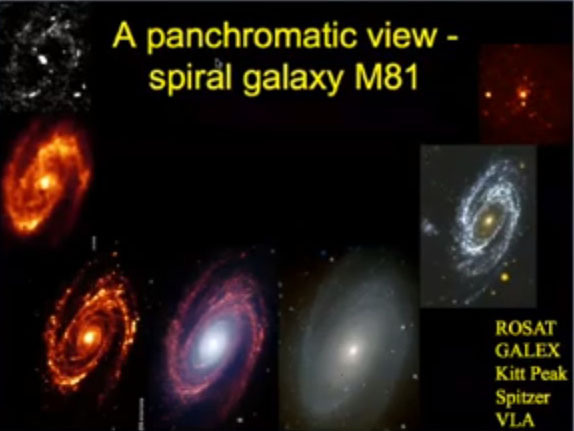 We went on to talk about all of the above, and more besides, including the importance of simulated lenses, why the images Space Warps uses are specially tuned to help us find lenses, and how the science team (which includes citizen scientists from Galaxy Zoo!) plan to turn our clicks into discoveries. Notice my swapping of pronouns to “we” — I’m not on the Space Warps science team, but I’ve done nearly 100 classifications now myself! I can’t wait to see the results start to come in from this project. why are the images so fuzzy? can we get better images of them now or in the future? Given the data we have, the short answer to the first question is that we don’t yet know for sure — and, perhaps most importantly, we don’t need to know all the details. 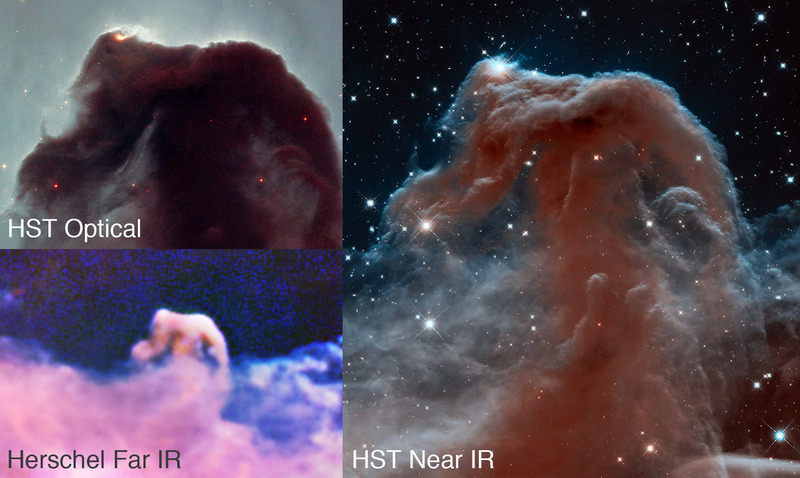 We can learn quite a lot from classifying even faint, fuzzy objects. 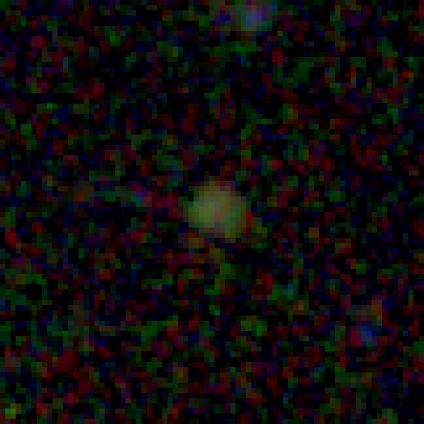 Some of the faint galaxies on Galaxy Zoo are among the most distant galaxies ever imaged by the Hubble Space Telescope, and we don’t necessarily expect them to look like galaxies we see more nearby, so classifications from our volunteers are helping us to understand them even when we don’t have all the information we might want. 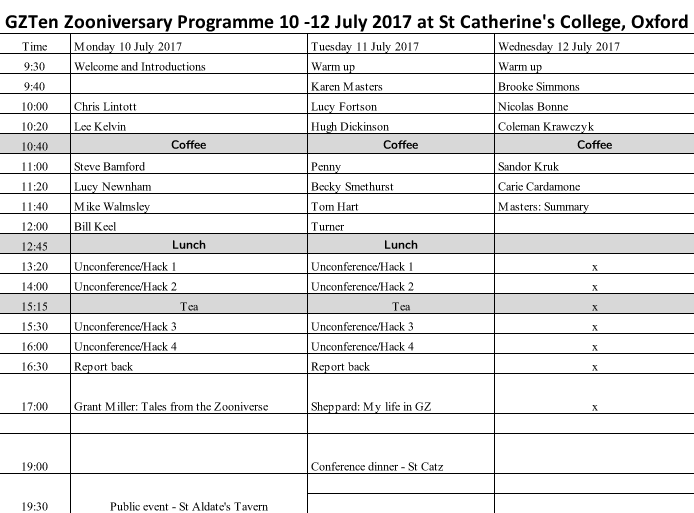 This is a great time to be working on Galaxy Zoo: there’s plenty to classify and analyze, and — of course — plenty to discuss. So stay tuned for next time! Note: for those who prefer audio only, here’s a link to the podcast version.